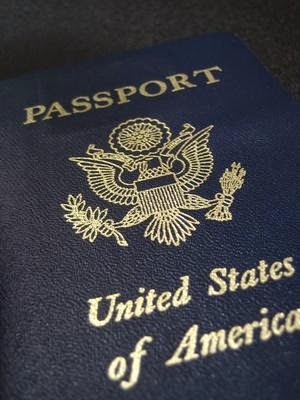 Tougher asset-disclosure rules that started July 1 under the Foreign Account Tax Compliance Act, or Fatca, prompted more of the estimated 6 million Americans living overseas to give up their passports. The appeal of U.S. citizenship for expatriates faded further as more than 100 Swiss banks began to turn over data on American clients to avoid prosecution for helping tax evaders. The U.S., the only Organization for Economic Cooperation and Development nation that taxes citizens wherever they reside, stepped up the search for tax dodgers after UBS AG (UBSN) paid a $780 million penalty in 2009 and handed over data on about 4,700 accounts. Shunned by Swiss and German banks and with Fatca starting, more than 9,000 Americans living overseas gave up their passports over the past five years. Fatca requires U.S. financial institutions to impose a 30 percent withholding tax on payments made to foreign banks that don't agree to identify and provide information on U.S. account holders. It allows the U.S. to scoop up data from more than 77,000 institutions and 80 governments about its citizens' overseas financial activities. In establishing the 2010 Fatca law, Congress and President Barack Obama in effect threatened to cut off banks and other companies from easy access to the U.S. market if they didn't pass along such information. It was projected to generate $8.7 billion over 10 years, according to the congressional Joint Committee on Taxation. So far, 2,353 Americans have renounced their citizenship this year, close to the all-time high of 2,369 in the first nine months of 2013.